As with many successful companies, Rolex history tells of the very secretive interworkings of the company, its direction, and its leaders. It’s said that this company excelled to success on its own. 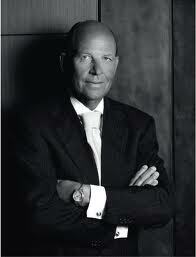 Patrick Heiniger, Rolex CEO, was most grateful for holding a company that was not accountable to financial analysts. 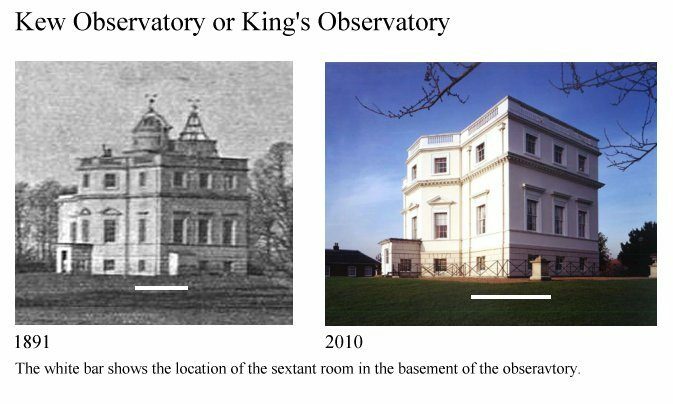 Furthermore, he acquired the most beautiful building in London after Buckingham Palace. This was achieved without the help, or interference, of a bank. Also, Rolex history details how the company and Hans Wilsdorf, its founder, are inextricably intertwined. 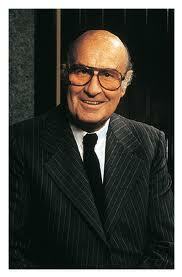 Rolex, like the modern day Apple Computer, revolves around the passion of one man who drove the company to greatness. Similar to Apple, Rolex remained strong in its industry even after Hans Wilsdorf passed on. This reflects the drive, passion, and relentless pursuit of detail and perfection. No doubt, the beginning of the Rolex story begins with its initial founder, Hans Wilsdorf. The Rolex story begins with the birth of Hans Eberhard Wilhelm Wilsdorf. 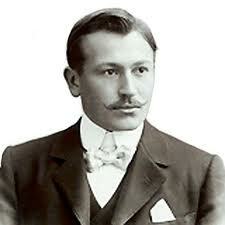 He was born in Kulmbach, Bavaria, Germany on March 22, 1881. Wilsdorf was the son of a hardware store owner (ironmonger). Consequently, both his parents died within months of each other when Wilsdorf was 12. It’s noted that Wilsdorf’s mother was a descendent of the Maisel Bavarian brewing dynasty. According to Rolex history, there were expectations that Wilsdorf would continue one of the family businesses. However that was not to be. Wilsdorf and his siblings were left in the care of his aunt and uncle. They sold the family hardware business and placed the proceeds into the Wilsdorf Trust until the heirs reached of age. Although the Wilsdorf Trust started as a result of tragedy, it was the basis for the Hans Wilsdorf Foundation initiated later in Wilsdorf’s life. Until the age of 18, Wilsdorf went to boarding school in Coburg Germany, excelling in math and languages, particularly English. After boarding school, Wilsdorf secured a position at a pearl distribution company learning much of world trade and the jewelry industry. During this time, Wilsdorf learned the industry tactics and developed a fascination with technology. Finally, at age 20, Wilsdorf left and joined watch exporters named Cuno Korten in the Swiss City of La Chaux-de-Fonds. There he worked with English clients who exposed him to pocket watches and timepiece technology. Of course, according to Rolex history, Wilsdorf’s passion became focused on the precision of these timepieces. In 1903, Wilsdorf was 22 years old when he moved to London. Unfortunately, during his trip thieves had stolen Wilsdorf’s inheritance totaling 33,000 German gold marks. However, he continued to work in the English watch industry while planning to start his own watch company. It was during this time that he acquired British citizenship. Finally, at age 24, Wilsdorf met Alfred James Davis and partnered with him to build their own watch making company. Davis had the money to invest and Wilsdorf had the watchmaking knowledge from his experiences at Cuno Korten. In fact, the partnership was further strengthened by Davis who married Wilsdorf’s younger sister. Wilsdorf utilized money borrowed from his siblings to match Davis’ investment. As a result, they each owned 50% of the company. As equal partners, they complimented each other’s skills and backgrounds. Wilsdorf knew watches and Davis knew financing and international trade. They started Wilsdorf & Davis Ltd, utilizing ebauches from the company Jean Aegler based in Bienne. Wilsdorf learned of Aegler while working at Cuno Korten. Keeping focused, Wilsdorf & Davis only produced two watches, the pocket watch and a purse watch, respectively for men and women. Keep in mind, at this time wristwatches were called “wristlets” and were small in size, small in number, not very accurate, and worn primarily by women. Gentlemen were quoted to say they “would sooner wear a skirt as wear a wristwatch.” Additionally, the watch industry thought that a wristwatch could not withstand the rigors of human activity. However, Rolex history reminds us that Wilsdorf was constantly aspiring and attentive to improvements. He cleverly noted that during the Boer War, the heat prevented soldiers from wearing jackets. In addition, during battle it was incredibly inconvenient to fumble around for a pocket watch. As a result, soldiers found themselves strapping small pocket watches on their wrists. This inspired Wilsdorf to specialize in what was then a non-existent market. In 1908, Wilsdorf returned to Bienne and negotiated with Aegler for a consistent supply of watch movements. This was the largest contract ever signed for watch movements at the time. Also, at the same time, trademark and logo styles were an industry trend. The name Wilsdorf & Davis did not have the same sound as Kodak and Coke. Wilsdorf & Davis thought of a company name that does not mean anything in particular, is easy to pronounce in multiple languages, is hard to misspell, and decided on the name Rolex. As the name Apple does not have any direct connection to computers, Rolex had no direct link to watchmaking.Wristwatches appeared to be more than just a passing fad and became very popular. Dispelling the myth that wristwatches are not accurate, Rolex sent its first movement to the School of Horology in Bienne in 1910, one of the early timekeeping institutes. Rolex was awarded the world’s first wristwatch chronometer rating. With the rating, Rolex overcame the first challenge to keep accurate time. The other two challenges were keeping wristwatches water tight, and to be autowinding. Further proving the accuracy of well-built wristwatch movements, Rolex was awarded the “Class A Certificate of Precision” from the Kew Observatory in England, the first certificate awarded to a wristwatch. The test involved 45 days in five positions and three temperatures. Prior to Rolex, these certificates were only awarded to marine chronometers. Realizing the value of timing certificates, Wilsdorf insisted that all Rolex timepieces would undergo similar testing and no Rolex should be sold without its “Official Timing Certificate.” For Aegler, Rolex would not accept any movements unless they passed Rolex’s seven day battery of tests. Accepting no less than a timing certificate, Rolex set the timing standard for the rest of the watch industry. The company was on sure footing with a consistent supply of watch movements from Aegler, a registered brand name, and a product that was in high demand. 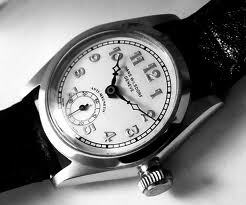 The start of World War I further helped wristwatch demand, but brought anti-German trade restrictions to England. Because of the high tariffs on watch and jewelry components coming into England, Wilsdorf and Davis decided to move much of the production back to Bienne utilizing the partnership they forged with Hermann Aegler. In 1919, Rolex purchased a percentage of the Aegler company and began to call itself Aegler S.A. Rolex Watch Company. Soon after that, Wilsdorf bought out Davis’s share of the company and moved the office to Geneva where he registered “Montres Rolex S.A.” on January 17th. Wilsdorf settled in Geneva in order to let the factory in Biel be entirely devoted to manufacturing watch movements where Geneva would focus upon creating case models that fit cosmopolitan tastes. The movements were manufactured in Biel/Bienne, but the watches are assembled in Geneva. On May 2, 1925, Rolex trademarked the famous crown or coronet in Geneva, Switzerland. After an expensive advertising campaign in 1926 to raise brand awareness that “Rolex” began to appear on every dial exclusively. The Rolex name quickly became synonymous with quality and distinction. Also in 1925, Rolex addressed the weak spot in all watch cases, the winding stem and its predilection for leaking water and dust. Wilsdorf heard of a patent filed by Paul Perregaux and Georges Peret for a new winding stem and button/crown. Wilsdorf bought the patent and registered the world’s first waterproof case, the Oyster, on July 29, 1926 in Switzerland, and again in London on February 28, 1927. The term Oyster came to Wilsdorf while trying to open an oyster at a dinner party. Opening Rolexes today requires special tools very similar to opening an Oyster at a restaurant. The sealed crown, combined with a water tight synthetic crystal also introduced at the time, along with a threaded bezel and caseback introduced by Aaron Dennison, founder of Waltham Watch Company, Wilsdorf now had the three main watch deficiencies addressed, the crown, the case, and timing accuracy all addressed. Despite patent protection, Wilsdorf had to defend its patent from imitators. In 1934, Wilsdorf filed against Schmitz Brothers in Grenchen, Germany. After 2 ½ years of litigation, the Swiss court agreed on July 8, 1937 that Schmitz Brothers owed compensatory damages to Rolex. Although Wilsdorf had not invented the water proof watch, he was the first to make the idea practical and fabricate using modern industrial manufacturing methods. With a human-proof watch, Wilsdorf showed his marketing prowess by launching yet another massive advertising campaign to promote the Oyster waterproof watch. Unlike other watches at that time, the Oyster was designed to withstand the day-to-day elements. On October, 21, 1927 Wilsdorf launched an advertising campaign showing Mercedes Gleitze, a 26 year old London typist who became the first women to swim the English Channel. In her vindication swim, two weeks after her first successful attempt, Gleitze was the first to do such a feat while wearing a Rolex watch. After her first successful swim, Wilsdorf saw an opportunity to promote the toughness of his watches by having her wear one on a chain around her neck during Gleitze’s second swimming attempt. Wilsdorf realized that advertising alone would not associate quality and reliability in the consumers mind, it had to be proven. The Mercedes Gleitze swim was one of the first instances of using athletes and explorers as first person testimonials for watch durability and reliability. Wilsdorf realized that although the case was sealed, being human was not. Watch wearers would forget to wind their watch, or would leave the crown unscrewed leaving the movement open to dust and water. Wilsdorf’s next technical challenge was coming up with a method for automatic winding. Earlier in the decade, John Harwood introduced the first self-winding wristwatch based on a weight swinging from a central point on top of the case, similar to a playground swing, and the mainspring wound by the weight contacting a wheel that would tighten the mainspring. They based the design on a pedometer design from 1770 by Abraham Louis Perrelet. The use of bumpers restricted the weight. The technical drawback was that the bumpers proved destructive and was not an efficient use of centrifugal force. Nonetheless, the design showed the utility of having a fully sealed watch that did not require unscrewing the crown to insure its daily function. Wilsdorf was set on using his existing movement with a modification for auto winding. In 1931, Wilsdorf used an existing Aegler movement and a winding mass placed upon center axis that could turn uninterrupted in both directions and thus a “perpetual” motion. Demonstrating how ingenuity stays in the family, Herman Aegler’s brother-in-law and the technical lead at Rolex is credited with the center-staff rotating weight design that is now commonplace in all automatic watch movements world-wide after the patent expired in 1948. In addition to having a water-tight case, the mainspring is now consistently wound providing a full tank of power that improves watch timing. A full and consistent power reserve allows for consistent timing, which underlies Rolex’s records for accuracy throughout the 30’s, 40’s and 50’s. By 1934, Rolex was the first watch company to receive class certificates from all four of the main observatories (Kew, Geneva, Neuchatel, and Besancon). 1931 brought disaster and opportunity. Rolex business flourished, but the British pound was drastically devalued on September 21 as a result of the world economic crisis and the Great Depression. The devaluation caused Rolex prices to rise, decreasing exports by 60%. If Rolex were to survive, it would have to sell outside of the British Empire. Subsequently, Wilsdorf established subsidiaries in Paris, Buenos Aires, and Milan as well as exploring business activities in the Far East. The expansion was successful. Rolex increased production of Rolex Oysters from 2,500 to approximately 30,000 watches a year. 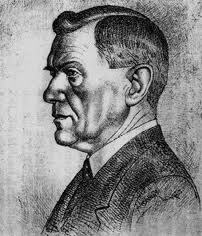 In 1944, Wilsdorf’s wife May died in addition to his long-time business partner and friend Hermann Aegler. This left Wilsdorf as Rolex’s sole owner. With no heirs, Wilsdorf created the Hans Wilsdorf foundation in 1945. The trust was underwritten to provide strict direction on how the company was to be run after Wilsdorf’s death, ensuring that the company would never merge with another company, be sold, or publicly traded. Rolex still runs under the direction of the Hans Wilsdorf Foundation. Wilsdorf specified precise direction on the distribution of dividends. He donated the majority of the money to charity in honor of his late wife. Additionally, dividends were to fund a watchmaking school, a fine arts academy, and business and social science faculty at universities. Wilsdorf Foundation proceeds also fund the Swiss watch research lab in Neuchatel as well as helps build a language library for the blind and an exhibition pavilion in Lucerne for animal protection. Today, the Hans Wilsdorf Foundation continues to underwrite the Rolex Awards. In 1945, Rolex introduced the date window to mark the firms 40th birthday. The DateJust caliber 740 was the world’s first automatic date mechanism in a wristwatch. Called the DateJust because, well, Date is obvious, but “Just” stands for “just in time,” advancing precisely at midnight without delay. The date window was located on the right edge at 3:00 o’clock because most wearers have their watch on their left arm and the date window can easily peak out from under a shirt sleeve. The DateJust also possessed a central second hand, moving from the subsidiary second hand that was the style at the time. Also, in 1948 the 15 years of the original patent protection on the automatic winding rotor came to an end. Only after 1948, other brands were able to manufacturer automatic watches. The 1950’s were a decade of post war growth and achievement for Rolex. On May 29, 1953, experimental Rolex Explorers rose to 29,035 ft above sea level on the wrist of Sir Edmund Hillary and Tenzing Norgay. In the same year, they attached a specially designed Deep Sea Special to the exterior of Auguste Piccard’s bathyscaphe, which reached a depth of 10,335 ft. This proved the concept that watches can be as pressure proof as submarines. Also, in 1953 Rolex introduced at the Basel watch show, the Turn-O-Graph, the predecessor of the Submariner. Following in 1954, Rolex released the Submariner with water resistance to 100 meters as well as the Milgauss and the GMT Master pilots watch, and finally, the Oyster Perpetual Day-Date, the only watch that showed both the day and the date simultaneously. Closing out the decade in 1959 was the introduction of the Submariner 5512, water resistant to 200 meters along with the introduction of crown guards that are prevalent on all Rolex sport watches. Also during the early 1950’s, Rolex incorporated the venerable Cyclops window to the date aperture after Wilsdorf’s near-sighted second wife could not read the date on her watch. Also during the 1950’s Rolex had planted subsidiaries in Bombay, Brussels, Buenos Aires, Dublin, Havana, Johannesburg, London, Milan, Mexico City, New York, Paris, Sao Paulo and Toronto. Rare white dialed GMT for Pan Am office executives. It is also important to note that Rolex’s Public Relations Director was pivotal in its direction for making true tool watches. Rene-Paul Jeanneret was one of the most important executives at Rolex during the 1950’s and into the 1960’s. Jeanneret was the driving force behind the concept of watch designs for individual sports or professions. The notion of a watch for divers, for explorers, and for businessmen came from Jeanneret. 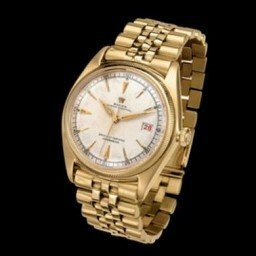 Pan-Am approached Rolex for a watch that could track 24 hour GMT time, which was the timing standard for airline pilots and navigators. As a result, Jeanneret pursued the concept of the 24 hour hand on a watch, and a rotating bezel that would allow timing in another timezone. Taking an existing Turn-O-Graph, and fitting it with a 24 hour hand and using the same bezel technology but with a bright plastic insert, Rolex introduced the GMT at Basel in 1954. Because it was a derivative of the Turn-O-Graph, it did not have crown guards and was significantly smaller than the Submariner also introduced the same year. The GMT was the first sport watch to possess a Cyclops, taken from the Turn-O-Graph model. Also, the 16550 shares the same independent 12 hour hand as the GMT Master II. It was available in either white or black dial. Rolex used a mixture of 316L in its bracelets and cases until the mid-2000’s. Since that time, they made the Deep Sea exclusively with 904L steel. Modern Rolex stainless models introduced later than 2011 also use 904L in the bracelet, case, clasp, and caseback. Also, Rolex releases the Yacht Master II, the first yachting watch with a programmable countdown feature and memory utilizing side pushers and the bezel. The watch survived the 2.5 hour decent, 60 minutes on the trench floor, and the 70 minute ascent back to the surface. 1960 was both a high and a low for Rolex. Subsequently, Rolex continued its technological evolutions by introducing the first Cosmograph chronograph model with featured a tachymetric timing ring on a metal bezel. Also, in 1960, Rolex bested it already world record for submersion by attaching a Deep Sea Special to the to the Trieste bathyscaphe exterior while it descended to the bottom of the Mariana Trench at 35,798 feet, a depth greater that Mount Everest is tall. Shortly after the success of the Deep Sea Special, 1960 also saw the passing of Rolex’s founder Hans Wilsdorf on July 6th leaving Rolex to appointees stated in the Hans Wilsdorf Foundation. Starting in 1963, Andre J. Heiniger leads Rolex throughout the second half of the century until 1992 when his son Patrick took the reins. The 1960’s saw more evolutions of the existing DateJusts, Air Kings, and the sports/tool watch line. In 1967, Rolex introduced the Sea Dweller, the first watch created with a helium gas escape valve for saturation divers. Standard Submariner watch crystals were popping off during helium decompression for saturation divers. In coordination with Comex, a French saturation diving company, Rolex designed a Sea-Dweller model that was heavier than the standard diving Submariner. It possessed a helium valve that would release small helium molecules that would enter the watch during saturation compression. However, it was pressure-proof when underwater. Also in 1967, Rolex introduced the Submariner 1680 complete with a date window through the dial like on the Turn-O-Graph and DateJust models. From the 70’s to present day, Rolex continues in the words of Patrick Heiniger, that “Rolex is evolutionary not revolutionary.” Even with competition from legitimate and illegitimate imitators, Rolex continues to produce new watches, new technologies such as the Paracrom hairspring, Paraflex shock absorbers, and the use of ceramics. Today, Rolex produces approximately 2000 watches a day and is consistently ranked in the top 100 global companies. Bruno Meier, Rolex’s CFO takes over as CEO. 2008 Rolex employs over 4000 people and is worth over 5 billion dollars. 2008 Patrick Heiniger suddenly resigns from his position. Two days later, Rolex denied a L’Agefi report that the company lost 1 billion Swiss francs ($900 million). Somehow involved, they convicted Bernard Madoff in the largest financial fraud in U.S. history. 1919 Hans Wilsdorf moves the company office to 18 Rue du Marche, Geneva and establishes the manufacturing company, Montres Rolex S.A.
1935 Sir Malcom Campbell breaks the world automobile speed record (300 MPH) wearing a Rolex wristwatch. 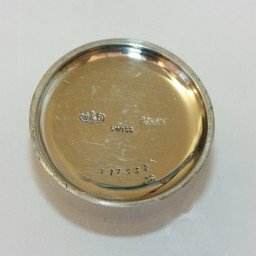 1987 Rolex starts using 904L stainless steel in its Sub Date 168000 that uses a high Nickel and Molybdenum content to help prevent pitting between the caseback and the case that results in salt water seeping into the threads. 1996 Rolex manufactures more official Swiss Chronometers than all other manufacturers combined. 1905 Founding of “Wilsdorf & Davis.” A distribution company of watchcases and other horological items headquartered in London. 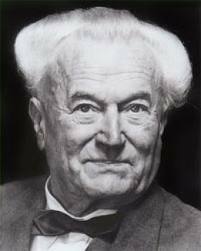 1908 Hans Wilsdorf registers the Rolex trademark located at La Chaux-de Fonds, later moving to Bienne. 1914 Rolex obtains a Class “A” certificate, Kew Observatory in English as the first wristwatch to outperform a pocket watch. 1926 Rolex patents the screw-down crown, and creates the oyster case with a screw down caseback and bezel. 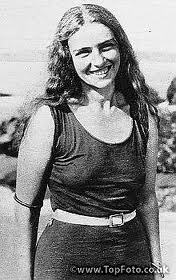 1927 Mercedes Gleitze swims across the English Channel wearing a Rolex Oyster. The swim lasted 15 ¼ hours. 1928 Rolex obtains a First Class Certificate from the Geneva Astronomical Observatory, the first ever awarded for a 6 ¾” wrist watch. 1939 Rolex introduces the fist chronograph with 30-minute and 12 hours totalizers. 1945 Rolex introduces the DateJust, the first automatic and water wristwatch chronometer. 1947 Rolex introduces the waterproof chronograph with 12-hour totalizer and triple date. 1947 Chuck Yeager breaks the “Sound Barrier” in a Bell X-1 wearing a Rolex Oyster, the same one he had worn throughout his deployment in WWII. 1950 Rolex introduces the Turn-O-Graph, the first Rolex with a rotating bezel and the precursor to the Submariner. 1953 Rolex introduces the Submariner, the first automatic diver’s wristwatch water-resistant to 100 meters. 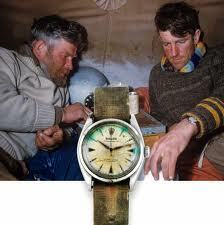 1953 On May 29, Rolex rose to 29,035 ft above sea level on the wrist of Sir Edmund Hillary and Tenzing Norgay. 1954 Rolex introduces the Submariner Ref. 6200, water-resistant to 200 meters. 1954 Rolex introduces the GMT-Master, an automatic chronometer with a 24 hour hand for aircraft pilots. 1956 Rolex introduces the Day-Date model, first wristwatch to spell the day of the week as well as the numeric date. 1957 Rolex patents a new Microstella regulated balance in Beryllium. 1959 Rolex introduces the Submariner Ref 5512 water resistant to 200 meters. 1960 Rolex straps a specially designed Deep Sea to the bathyscaphe Trieste which descended 10,916 meters to the bottom of the Mariana Trench being the first watch to reach such a depth. 1960 Hans Wilsdorf passes away on July 6, leaving Rolex to appointees stated in the Hans Wilsdorf Foundation. 1963 Rolex launches the first Oyster Cosmograph series ref. 6239. 1963 Andre J. Heiniger leads Rolex to 1992, when his son Patrick takes over. 1964 Rolex patents a pressure-proof screw-down push button for chronographs. 1967 Rolex, in conjunction with Comex , a French diving company, releases the Sea Dweller guaranteed water-resistant to a depth of 610 meters. 1967 Pete Knight breaks Mach 6.72 (4,534 MPH) in an X-15 aircraft wearing a GMT-Master; a record that still stands today. 1969 Rolex releases a Submariner with date and water resistant to 200 meters. 1970 Rolex starts using synthetic sapphire crystals with the introduction of the all gold Oysterquartz beta ref 5100. Rolex started rolling out sapphire crystals throughout the 70’s and 80’s. By 1989, they fit all Rolex watches with sapphire crystals. 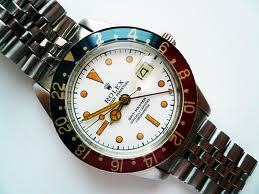 1971 Rolex releases Reference 1655, the first Explorer II with the solid steel 24 hour bezel famous orange 24 hour hand. 1982 Rolex redesigns the GMT Master II and allows timing in three different time zones rather than two by allowing an independently set 12-hour hand. 1984 Rolex updates the Explorer II to reference number 16550 to resemble other successful selling models, the Submariner and GMT II. 1985 Rolex surpasses more than 4 million movements officially awarded the “Chronometer” title. 1986 Guided by only a sextant and their Rolex chronometers, Will Steger and Paul Schurke lead the first expedition without resupply to reach the North Pole. 1988 Rolex redesigns and releases the new Oyster Perpetual Cosmograph Chronometer “Daytona.”. 1988 Rolex purchases its watchband supplier – Gay Frères. 1992 Patrick Heiniger takes the reins from his father leading Rolex until December 17, 2008. 2000 Roles launches the new Oyster Perpetual Chronometer Cosmograph “Daytona” with Rolex’s in-house movement. 2005 Launch of the new GMT-Master II, with a new 3186 movement, Paracrom hairspring, and ceramic bezel. 2008 Rolex introduces the new Deep Sea SeaDweller water resistant to 3,900 meters. 2011 Rolex names a new CEO, Gian Riccardo Marini, formerly Rolex Italy SpA’s chief. 2012 On March 26, Rolex revisits the Mariana Trench with an experimental DeepSea Challenge watch strapped to the outside of James Cameron’s vessel. There is a range of 170 models available in 3,200 combinations. Set a GMT hand to local time, and it will always point north when the 12-hour hand is pointed to the sun (in the Northern Hemisphere). The same is true in the Southern Hemisphere, but read it while it is overhead. James Cameron Makes First Ever Successful Solo Dive to the Mariana Trench. 2012. National Geographic Press Release. March 26, 2012.